What is the TummyTime!™ Method? ﻿A scientific, evidenced informed program developed to uniquely address the needs of babies in the newborn to precrawling stage of life. The program is specific to attuning to baby's calm and relaxed state, healthy nervous system function, as well as connecting with parent during tummy time. 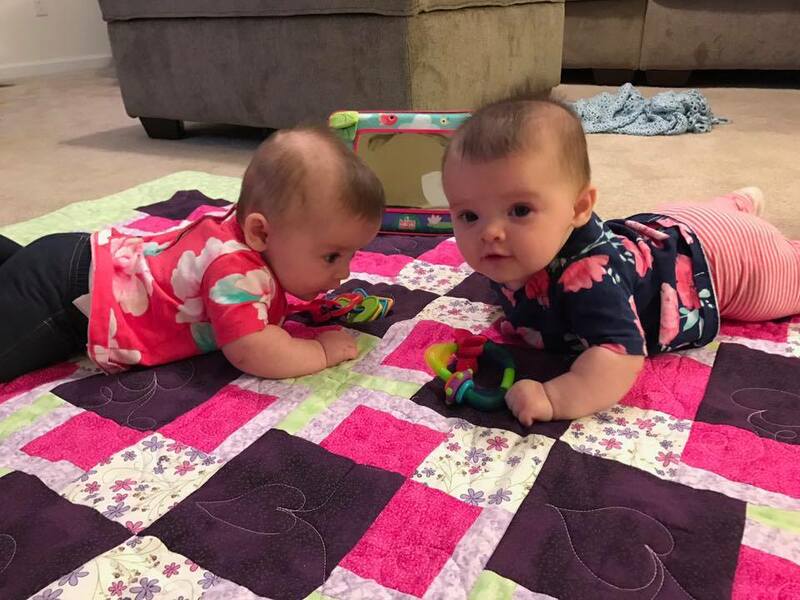 Because tummy time is the foundation of all sensorimotor skills throughout life! Your baby is learning how to move their body outside of the womb. It is important for your baby to learn to use his or her neck, shoulder and arm muscles when in tummy time. Researchers have found consistent tummy time to be associated with improved motor development. This means that four month old babies who spent at least 30 waking minutes on their tummies scored higher on developmental tasks when compared to babies who did not spend time in tummy time. It is highly recommended that you do TT! with your baby. It's great for stretching and giving our abdominal organs a massage. TummyTime! Method GOLD STANDARD is tummy time on a parent's chest (preferably skin to skin) for the first 3 weeks of extrauterine life. What if my baby dislikes tummy time? Many babies will demonstrate frustration or have a need for more support to enjoy tummy time. TummyTime!™ classes teach you how to do this....and much, much more. Why does my baby not want to lie on his or her tummy? Does it hurt? Is it frustrating? Is it the hardest thing they've done in their lives? Is there something wrong? Please understand, tummy time itself does not hurt. Babies are engaging their entire body and are learning to lift their heads and turn side to side to look at their world. Babies have been curled up into flexion (a little ball) the entire pregnancy. Tummy time experiences help babies learn about opening up and gently elongating the front of their body, for optimal development. Babies are developing the throat and mouth areas for future oral function , including speaking. Their visual systems are learning how to coordinate two eyes together. Babies developed in a "cephalocaudal" manner, meaning they develop control and strength of the neck and shoulder muscles first, before developing their lower body and legs. This is another vital reason for engaging babies in the tummy time position. That being said, your baby MAY be uncomfortable in tummy time if baby has areas of tightness or restriction in the soft tissues/connective tissue of the tongue, head, neck, shoulders and back or lack experiences with tummy time. ​If you suspect your baby has actual discomfort, please get in touch with me or a TummyTime! Professional near you. Tension and areas of restriction clear up quickly in babies, and it typically takes 1-2 sessions of relaxation training for the babies to respond. Since tummy time is so important, how can you help your baby enjoy it? One on One session - You and your baby will work one on one with me over 2-3 sessions. In addition to these sessions, you will practice daily at home. Group session - TummyTime!™ Professional facilitates a group. Classes are once a week for 45 minutes. Classes run between 2 and 6 weeks in length. Parents and babies have fun together and meet other parents and babies in Tummy Time!™ classes. Promotes optimal head shape - Most babies are sleeping on their backs, so they spend long periods of time with pressure on one area of the head. Babies are then placed on their backs to play, further reinforcing the pressure on that area of the head. Over time and through the influence of gravity, this can lead to a flat spot on the side baby likes to turn to. TummyTime!™ gives the head optimal pressure relief and actually offsets the time your baby spends putting pressure on the back of the skull. Your baby's skull is soft and molds easily. 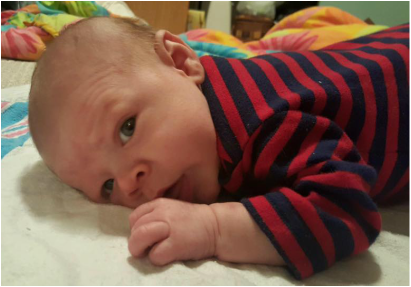 The best way to ensure a nice round head without flat spots is to do tummy time every day! Encourages movement and developmental progression - It is the key to typical development of movements and motor skills. It helps build arm and hand function, prepares baby for sitting and crawling. You may notice that your baby looks in one direction most of the time, or constantly lays on one side of their head during sleep. This is a sign that your baby may be having some trouble with active head and neck movements. It's best for baby's neurodevelopment to have support and connection from a parent, sibling or family pet during tummy time. Engaging in back and forth facial expressions, vocalizing back and forth, smiling and encouraging touch helps babies feel safe and secure in tummy time. When babies feel safe and secure, they can enjoy the experience of learning to move and play.